Should You Try Drop Shipping? What Are the Most Profitable Drop Shipping Niches? Are you looking for an easy way to start an online business? Have you postponed your business goals because you’re worried about startup costs or managing an inventory? Drop shipping might be the answer for you. Drop shipping is a business model that lets you sell products without keeping an inventory or shipping out each order yourself. When you dropship a product, your customers order items from you at retail prices. You then get those items from a supplier at wholesale rates and wait for the supplier to deliver orders directly to your customers. Imagine your business as a traditional brick-and-mortar store. There’s the front of the store, where customers browse product displays and staff ring up orders at the register. Then there’s the back of the store, where you’ll find shelves of product stock, plus the people who manage that stock and send items out from the backroom with every purchase. With drop shipping, you handle the front of the store. Meanwhile, your suppliers handle the backroom. The one big difference? Items go directly from the backroom to your customer’s homes. Compared to other business models, drop shipping is a pretty hands-off business. Most of it happens online: entrepreneurs like you set up online stores and coordinate with suppliers from all over the world. You could run a drop shipping store without ever handling your products in person—or, for that matter, worrying about selling all the boxes you’ve already bought and stored in your garage. You won’t have to make your own products. Instead, you’ll feature items from your chosen supplier’s catalog/s. Of course, while you might carry various branded items, you can still use your own brand for the store itself. When customers pay for their orders, the money goes directly to you. Your earnings don’t come as commissions paid out by your supplier. You also have the power to set prices for each product. You buy your customers’ orders from your suppliers at wholesale prices. You are basically “passing” customers’ orders to your supplier. This is where your profits come from, too: the difference between how much your customers pay for the item vs how much you spend buying the item from your supplier. Your supplier now takes items from its stock and ships them out to your customers. The items don’t go through you anymore. Drop shippers earn by facilitating sales between wholesalers and regular shoppers, marking up products along the way. This works because many wholesale suppliers don’t sell directly to the general public — they’re all backroom and no storefront. If customers want to have a particular supplier’s product, they must find a retail store that offers the item. As a drop shipper, you get paid for giving them that store. Drop shipping has a lot going for it. After all, who doesn’t want to ditch the headache of tracking product inventory, or the pressure of earning back the cost of product stocks you’ve already paid for? Who Should Start a Drop Shipping Business? Drop shipping eliminates many of the issues that trip up new entrepreneurs, like building up an initial supply of products, setting up processes for order delivery, and so on. Here, your focus will be on marketing your products, building your brand, and growing your customer base. You’ll have fewer things to figure out, and some of your business’ most important elements will be handled by experienced professionals. Drop shipping also reduces your overhead costs. You won’t need to rent a warehouse for your stock; hire staff to package and ship orders; track and replenish product stocks; and so on. With drop shipping, you’ll also be buying products only when you’ve already made a sale. This reduces the risk of incurring huge losses, since you won’t be buying a huge initial supply that you’ll then have to work to sell out. This can be more of a problem once your business has built a steady flow of orders. If you’re a one-person operation (or working with a group of, say, fewer than ten people), it can be difficult to keep up once your business booms. With drop shipping, your suppliers will take that concern off your hands. Maybe you want to focus on a broad category, like clothing. You might want to sell ladieswear, menswear, and even baby clothes side by side. Producing a wide-enough range of items by yourself is out of the question. But if you can find reliable suppliers for each type of clothing you want to sell, you can easily offer customers a broad catalog. Managing physical product stocks reduces your flexibility. You are, in some ways, tied to your inventory. If you suddenly have to move from one state to another, for example, relocating your existing stock can disrupt your business’ operations. If you’re the one in charge of shipping orders, you’ll need to work out a backup plan if you ever want to go on an extended vacation without losing sales. On the flipside, you can hop from place to place armed with just a laptop and an internet connection, and your drop shipping business could still run without a hitch. Since you’re not responsible for your inventory, you have little control over things like product supply and availability. Remember, too, that you’re probably not the only retailer doing business with your supplier. The products in your supplier’s stocks are shared, at least indirectly, with other businesses. You’ll also have almost zero opportunities to add personal touches that distinguish your products and services from the competition. (Of course, methods like blind drop shipping are the exception.) Depending on the supplier, you might not even find many tools for monitoring how your customers’ orders get fulfilled. Speaking of competition, the drop shipping arena can get cutthroat. For any given product niche, you could be competing against thousands of other retailers. The drop shipping resources you’re using are available to other users, after all. Unless you’ve got some solid strategies for setting yourself apart, you can easily get drowned out by the sheer number of competing stores. It’s easier than ever for shoppers to compare prices from different vendors. When there are many of you selling similar products, customers will naturally head to the store with the lowest prices. The problem is that drop shippers find it easier to offer lower price tags, since their overhead costs are so low. Consequently, you might not have much freedom to mark up your products, especially if there are clear competitors who keep driving prices down. If you’re offering multiple products from different suppliers, things can quickly get complicated. You’ll have to figure out a system for coordinating with different companies. That includes keeping track of each supplier’s billings, monitoring product availability from different sources, paying a different shipping rate for each supplier, and so on. The bulk of your business’ practical side happens outside your control. If your suppliers mistakenly send a defective item or a delivery gets stalled, it’s your business’ reputation on the line. Depending on your arrangements with your suppliers, there might not be much you can do to prevent these errors, either. Maybe you’ve been brainstorming business ideas, and someone suggested that you try drop shipping. Or maybe you’ve been on the lookout for a side hustle, and the promise of drop shipping’s low startup costs appealed to you. If you’re thinking of becoming a drop shipper, here are some factors to consider before you take the plunge. Drop shippers don’t need to buy an initial stock of products, maintain an inventory, or invest in a warehouse or brick-and-mortar storefront. In fact, you could start a drop shipping business with only your computer (and an internet connection) in hand. That’s all thanks to the fact that you’re not manufacturing, storing, nor delivering the products that you choose to sell. Your suppliers handle the physical side of order fulfillment and all the expenses that come with it. This is closely related to the first point. Imagine being in charge of everything from inventory upkeep to product shipping: you’d need to check on shelves and shelves of products, pack orders, and arrange delivery to each customer. On top of all that, you’d still need to work on winning over more customers. Drop shipping cuts the workload in half: somebody else minds the items for you. This leaves you free to focus on the sales side of your business. What’s more, this makes drop shipping a promising option for people who don’t have a lot of time or manpower for handling numerous items every day. This is where drop shipping comes out ahead of popular marketplaces like Etsy. When you sell as a retailer on an established portal like Etsy or eBay, your business is subject to the rules and operating standards set by that website. Say you’re selling secondhand books and Amazon suddenly decides to ban secondhand book sales completely — your business would be toast. Many drop shippers build their online stores using platforms like Shopify. These services grant control over your website: you make the rules; you choose what and how to sell. More importantly, your online store faces less risk of being shuttered due to a simple change in website policies. You can build your own product catalog from the millions of products and suppliers available online. The sheer variety of choices at your fingertips gives you tremendous flexibility to start with. From plus-size shapewear to smartphone accessories and everything in between, there’s probably at least one supplier for it. You’ll have more room to identify a profitable niche and carve out your own space in the vast drop shipping landscape. Plus, an abundance of suppliers means you’re not locked to one supplier’s pricing. You can canvass your options to find the right balance of product quality and wholesale pricing for your particular needs. Drop shipping doesn’t need you to invest in a lot of physical resources. This means you can run your business from almost anywhere, so long as you have a way to market to customers and contact your suppliers. Whether your trip is to Denver or Denmark, business doesn’t have to stop or even stutter. You can switch offices any day of the week, or you can check on an urgent flagged delivery while waiting for your turn at the grocery checkout. Here’s the thing: As with any business model, drop shipping isn’t a simple YES or NO. There’s no denying the attractive advantages of the drop shipping model. But if you want to make money drop shipping, you’ll need to put in the work and do your research, whether you’re developing it as a side hustle or as your main business. That said, drop shipping can be an especially stellar option if you’ve got very limited time, starting capital, or manpower and resources. It can also be a great, cost-effective way to test the viability of your chosen product niche before you go all-in on a new business. So you’ve decided to try drop shipping. Now what? Starting a drop shipping business takes less time than many other business models. As noted above, you only need a few things to give your business a strong foundation. This is our shortcut for legal essentials. The legal requirements for an online business will vary depending on where you live. Some places (e.g., many US states) will require tax IDs or reseller licenses, while other areas might ask you to apply for a business permit or similar documents. To get these, you might need to file papers that formalize your business structure, too. On the other hand, some places might not ask you for any official papers at all. Your local government will likely have more information online. Before anything else, do a quick Google search (“[your area] + online business requirements” or similar phrases will do) and read up. You don’t want to risk running into legal trouble down the line. Always comply with the legal requirements for your online business. You can’t ask customers to hand their money over to a shady online store, after all. Plus you’ll save yourself the headaches and expenses of official inquiries or penalties. You’ll need to sell something. Not sure what items to offer? Read this guide’s section on finding the best drop shipping products and choosing a profitable niche. Your platform acts as your main point of contact with potential customers. This is how you show off your product catalog, take orders, and oversee your business. If you’re tech-savvy, you can create your online store from scratch. A drop shipping business can be much more demanding than a run-of-the-mill website, though. In most cases, you’ll benefit from the sophisticated features of a dedicated ecommerce platform. To get started right now, you can jump to our guide to building a drop shipping website. For drop shipping, there are industry-specific services like Oberlo or Dropship Direct that offer established systems for, say, coordinating with suppliers or tracking orders. We’ve also reviewed many of these drop shipping services to help you pick the best one for your needs. A drop shipper, by definition, never works alone. You’ll always be working with at least one supplier who takes care of product stocks and shipping for you. As we pointed out earlier, this means your business relies heavily on your chosen suppliers. Not sure how to find reliable suppliers? We have a whole section on finding drop shipping wholesalers, as well as choosing the right suppliers for your business. This is the most important element you’ll need for your drop shipping business. You might have the most promising products or the most awesome suppliers, but none of those will help if you don’t know how you’ll make them work together. Come up with a solid business plan for your drop shipping store. This helps clarify your goals and how you’ll use your assets and resources to hit your targets. You don’t need a formal business plan to become a drop shipper. But a business plan has so many benefits, it would be a mistake not to have one. A solid business plan gives your drop shipping venture a roadmap, a framework, and a sales pitch, all in one. When you sit down to hammer out your plan, you’ll have time to really hash out where you want the business to go, what targets you want to reach, and most importantly, what steps you’ll be taking to get there. Having all of that information in a document gives you a handy reference that you can check as you move forward. If you’re looking for business partners or applying for funding (e.g., loans), a good business plan also presents a clear, convincing argument for why potential investors should back you. Not to mention that licensing or lending institutions (like banks) will probably ask you for one. This includes your business name, the product/s you plan to sell, and your overall goals. You can set a formal mission and vision for your business, but that’s not an absolute requirement. Instead, you can simply set out your long-term targets and your big-picture strategy for your business. Before leaping into any business venture, you should know what the industry and your competitors are like. You should have a reliable basis for judging the profitability of your products or the potential effectiveness of your business strategies — and this is where market research comes in. Research gives you valuable information that can inform key business decisions. Whether you’re writing a business plan for yourself or for potential investors, it pays to spell out the data supporting your goals and plans. What’s the demand like for your chosen product/s? What captures your target audience’s interests? Who are the big players in your chosen market right now, and what are they doing to sustain their business? What are the average prices for your chosen product/s, and what gets customers to pay more? Looking up your competition is especially important considering how competitive drop shipping markets can be. If you’re unsure how to start, you can also check out our tips for performing thorough competitive research. At first glance, the drop shipping model looks light on operational processes. But even if your supplier handles things like product inventory and shipping, you’ll still need to map out how your business will operate. That includes your choice of suppliers, complete with information on how you’ll pass them customer orders, coordinate returns or customer complaints, and more. It might also be helpful to set out how you intend to build your website. If you’re working with a drop shipping platform, try to map out how specific features will help you perform key processes like taking orders or tracking shipments. Online businesses need steady traffic to earn money. This is your space to lay out how you’re going to make that happen, whether through social media, paid ads, word-of-mouth, or any combination of those and other methods. This is also a good place to describe what you want your brand identity to be, if you didn’t tackle that in your business summary. A clear branding plan ensures consistency across all of your marketing efforts, making it easier to leave a positive, lasting impression on your target audience. Most countries have government agencies that guide and support aspiring entrepreneurs. A quick search of these agencies’ websites will often lead you to recommended business plan formats for your country. Sometimes, you’ll also find tips for making your plan as effective as possible. 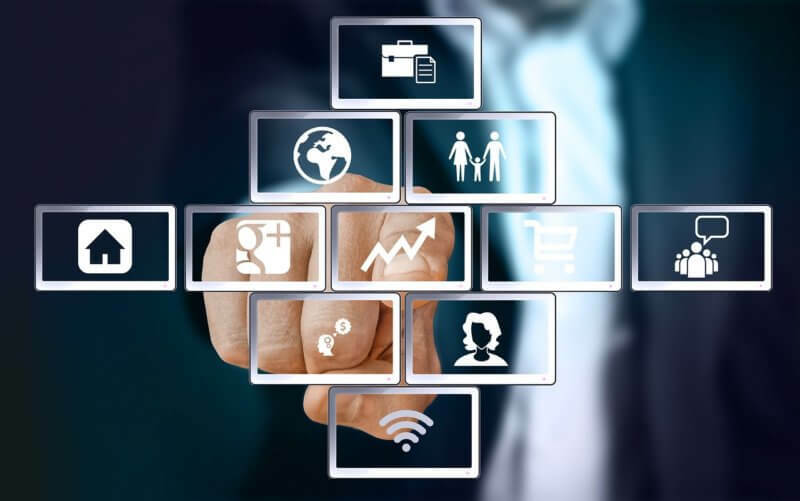 US: The US Small Business Administration breaks down two common formats for business plans and gives other tips for starting a business. Canada: The Canadian government walks you through the key steps to starting a business, including crafting an effective business plan. The Canada Business Network also provides sample business plan templates. United Kingdom: The UK government’s site links to different resources for writing your business plan, from a free template to tips and examples. Australia: Likewise, the Australian government provides a business plan template and a guide for customizing it to fit your business. Hong Kong: The Trade and Industry Department’s support center for SMEs (small and medium enterprises) also offers a business plan template, complete with sample plan and tips for new entrepreneurs. Competition research is an important subset of the market analysis you need for your drop shipping business. By looking up your potential competitors, you get valuable insights that can help improve your business before you even start. What should you look at when researching competitors? 1. What products are they selling? Who are their suppliers? This gives you a glimpse of the product ranges that sellers usually offer in your chosen market niche. If you can identify your competitors’ sources as well, you can figure out key details like their order shipment process or even, in some cases, how much they could be paying for their product supplies. 2. What segment/s of the market do they dominate? Are there particular demographics that seem to prefer one of your competitors over the others? Figure out what’s given that company such a loyal following, and see if you can adapt those techniques to your own target audience. If you’re targeting the same market segments, you can also pinpoint how your competitor has captured their interest and adjust your approach as needed. 3. What strategies work for them? 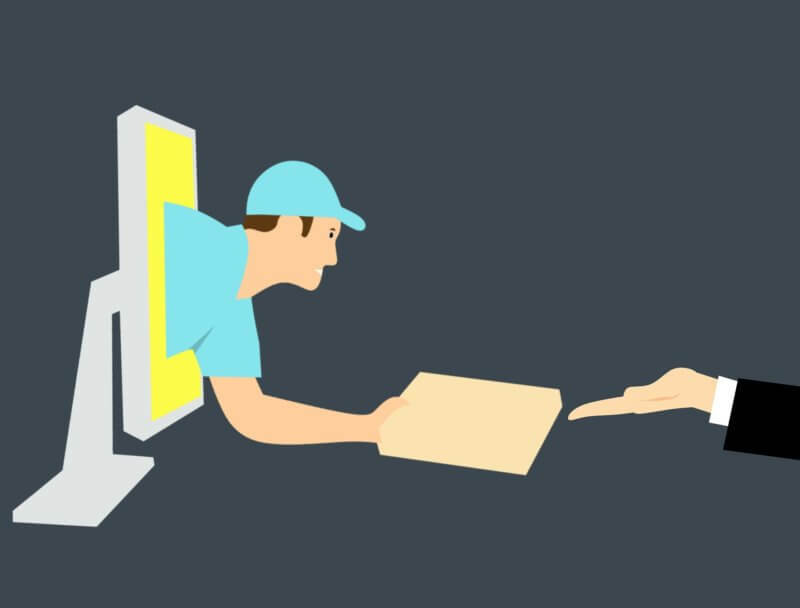 Are your competitors doing something to make their order deliveries more efficient or reliable? Is their social media game so strong that they’re reeling in tons of leads? Figure out what key techniques are sustaining your competitors’ businesses. 4. What are their strengths and weaknesses? All of the information above will help you see what your competitors’ main advantages and disadvantages are. When you find out where your competitors excel — or, conversely, where they stumble. This gives you a better idea of what your own competitive advantages are. Knowing how your competitors work is just one part of your research. As you collect more information about their business practices and strategies, you should also refer back to your own plans for your business. See how your business can enter the existing market and what you can do to set yourself apart. Competition research helps you find openings in the current playing field. Figure out what your competitors are doing, what works for them (and what doesn’t), and where they could stand to improve. All of that gives you a better idea of what you can do to make your own mark and succeed. How can you analyze competitors? Google Search is your first stop here, especially if you’re not sure who your top competitors are. Do a quick search for the product/s you have in mind (“[product] drop shipping” or similar will do), and note the top stores that appear in the results. Don’t stop at your competitors’ names, though. Note what kind of content landed them those top spots on the search results page. Is it an informative blog post about your target product/s? Maybe they’re running a limited-time promotion. These searches will give you an idea of what kind of content your target audience/s finds most click-worthy. Drop shippers will have some kind of online storefront. It might be a seller account on marketplaces like Amazon, or it might be a standalone online store. Check those out and observe how they present their products, announce their promos, and so on. If your competitors have social media pages, try to keep up with their posts. Which ones get the most responses or shares? This helps you see what communication styles work well with your target audience. There are many specialized tools that can help you dig up more information on your competitors. Sites like SpyFu check what keywords your competitors are targeting, for example. Other services, like Moz or Alexa, will help you find important details like your competitors’ top sources of traffic. Industry reports give you the lay of the land: a bird’s eye view of how your target industry is doing. 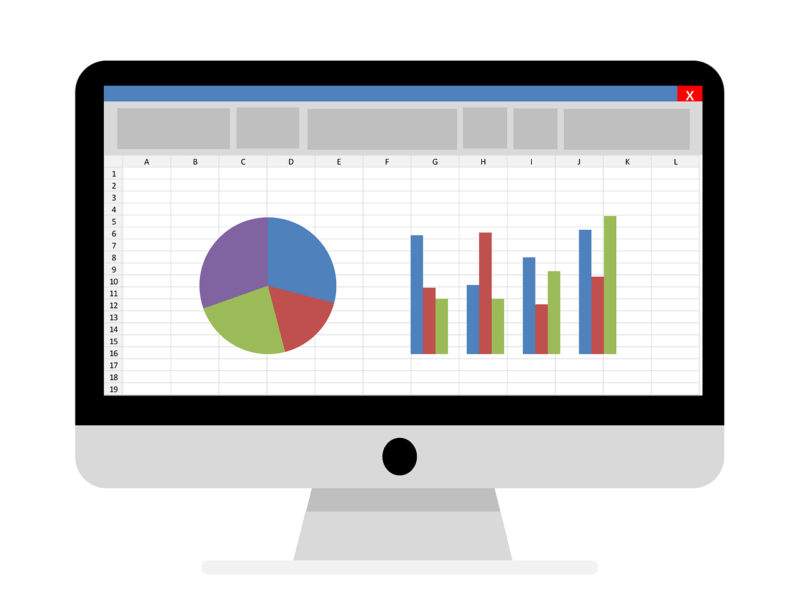 With drop shipping, you won’t find many niche-specific reports. However, you could get information like which countries have the highest demand for certain product types. Compare industry information with what you know about your competitors’ strategies. This might unearth more blind spots or overlooked opportunities that you can seize. Read customers’ reviews or track down relevant posts in related forums and websites. Positive feedback will let you know what customers want from a drop shipper in your target niche. Negative feedback, meanwhile, will show you where you can improve on what your competitors are doing. Your domain name is what customers will type to reach your online store. Registering your domain name ensures that customers can find you — and that nobody else can use your name for their website. If you want to learn more about how domains work, check out our beginner’s guide to websites. If you’re using an e-commerce platform, you might get free domain registration as part of the deal. Many web hosting services have similar deals. You can also register one yourself through a separate service. Just make sure you pick the right domain registrar! To be accessible to potential customers, your website needs hosting. There are lots of web hosting services out there. It’s best to check out several providers so you can find the best web host for your needs. Some e-commerce platforms bundle web hosting into the package when you make an account. It might be best to go with this option if you’d rather not juggle a separate hosting provider. Online stores work differently from regular websites. That’s mainly because of your shopping cart system. This kind of software allows your customers to select and order products, purchase them through your site, get order confirmations, and so on. Shopping cart software is what makes your website an online store. Popular ecommerce platforms like Shopify often bundle this software with a website builder, hosting, and domain registration. In other words, they give you a one-stop solution. These can be great solutions for beginners, especially those who aren’t very tech savvy. Some platforms, like Dropified or Dropship Direct, offer features tailored specifically to the demands of drop shipping: automatic product uploads, order tracking, and more. If you’re interested in DIY, there are also self-hosted shopping cart solutions like Magento. These give you more freedom to build your site as you please. Bear in mind, though, that these require more technical skills, plus a separate hosting solution. If you want to earn from your sales, you’ll need a payment gateway. This software processes your customers’ payments and credits them to your merchant account. Payment gateways make it possible for customers to use methods like credit cards, digital wallets, bank transfers, and more. Of course, the available payment methods will depend on your chosen payment gateway. Most options cover at least credit or debit cards, or bank transfers in different currencies. Other common options include PayPal. If you’re using an ecommerce platform, there will usually be built-in support for at least one payment gateway that accepts a variety of methods. Finances are always a sensitive matter. To boost your online store’s trustworthiness, use an SSL certificate. This security protocol encrypts the information that passes through your website. It’s a basic step for ensuring your customers’ privacy and safety. Many ecommerce platforms include an SSL certificate when you sign up for an account. Alternatively, you can get an SSL certificate yourself from providers like Symantec or Let’s Encrypt. These range from free (Let’s Encrypt) to $20 – $70 per year. Your work doesn’t stop once your website is launched, though. 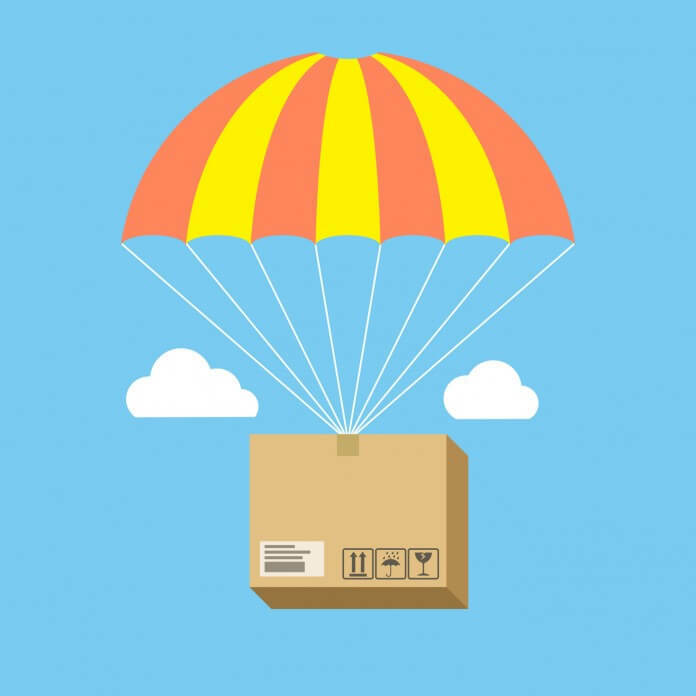 Jump to our section on optimizing your drop shipping website for what to do once your site is up and running. Earnings can vary wildly in drop shipping. One of the biggest factors that can affect your profits is what you choose to sell. There are thousands of products available for aspiring drop shippers. From multicolored leggings to car tires, there’s a supplier out there who can help you build the catalog you want. Some products will bring in more money than others, though. If you want to make the most from your drop shipping store, you’ll need to choose your wares carefully. There’s no magic formula for picking out bestsellers. Every product you choose to sell can be considered a gamble. But if you follow these steps, you can be more confident that the odds are in your favor. If you’re new to the ecommerce game, you’re probably still learning the lay of the land. Fortunately, you can often find guidance from established companies or authorities in your chosen niche. Longtime ecommerce platforms like Shopify and Volusion, for example, release regular updates on trending products throughout the year. Keep an eye on sources like these to get a better sense of the product types to put on your shortlist. 2. Do some market research. Speaking of trends, take advantage of free tools like Google AdWords’ keyword planner or Google Trends to check the products that people are searching for. This is especially helpful if you’ve got specific audiences or product categories in mind. If you’ve decided to sell shoes, for example, you can use Google Trends to see which of your prospective brands have seen recent buzz. You can also check search volumes for different kinds of shoes to help you pick which ones to sell. Look for reliable, responsive suppliers that can give you low prices. You won’t always find suppliers who check all of these boxes. Strive to get suppliers who come as close as possible anyway. You’re staking a big chunk of your business’ reputation on their performance, after all. Some resources, like the Shopify platform, give users lists of vetted suppliers. Otherwise, you can go the DIY research route by checking out feedback for specific suppliers on markets like AliExpress. 4. Scout out your sales environment. You’re not selling in a vacuum. Keep tabs on any events or factors (both within and beyond your sales niche) that can affect how audiences receive your products. This helps you time product releases and promotions for maximum impact. Are you selling clothes? Showcase your best cardigans and coats as fall approaches. Is Easter coming up? Your snacks store better start highlighting chocolate eggs and bunny-shaped candy. Has the Rick and Morty cartoon been making the rounds of your customers’ social media accounts? Time to launch a Buy 1, Take 1 promo on bottles of McDonald’s Szechuan sauce. What Makes a Great Drop Shipping Product? Picking a winning product to dropship isn’t just about the state of the market. Not all products suit the drop shipping model. As much as you might want to sell custom cakes, for example, you’ll have a hard time finding a supplier who can make and deliver those to order. This is a no-brainer. You might not need a slew of licenses to launch a drop shipping business, but you still have to comply with the law. Selling illegal items is just asking for trouble. Drop shippers in particular should take pains to find products and suppliers that check this box. You don’t always have complete control over your products, so violations might not always be obvious. All the more reason for you to devote extraordinary diligence to checking your products. Watch out for counterfeits. 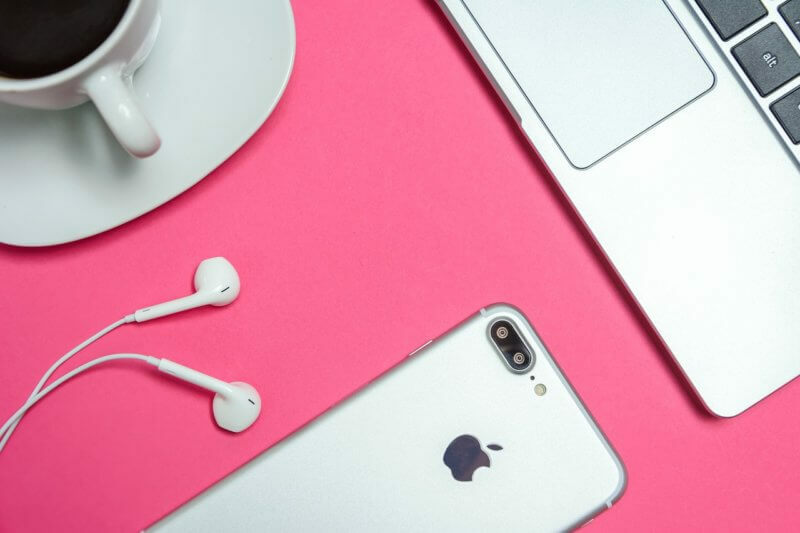 You might be doing swift business drop shipping Apple accessories, but unless your products are from Apple itself (or other established brands), you run the risk of losing customers because of defective, incompatible, unusable, or easily broken items. You might not be shipping your products, but someone is. Chances are, they’re going to charge you for it. If you don’t want to pay your supplier huge sums for shipping and handling, pick products that are easy to pack and ship. Fragile items, or ones with big or unusual dimensions, shouldn’t be on your list. You might not have as many competitors in the ceramic vase niche, for example, but your margins will definitely be smaller on account of higher fees for special courier handling and, in some cases, insurance. Plus, every broken vase is an expense you can’t get back. Seek out products that will catch your customers’ attention. Your product should give people a compelling reason to spend money. If you’re drop shipping T-shirts, for example, it should be clear why your T-shirts are a better choice than any other shirt available at your customer’s local department store. You can find uniqueness in a product’s design, function, or sometimes even just price. This is where your previous market research helps, too: if you know what everyone else is selling, it’s easier for you to pick out products that stand out. This sounds contradictory to #4, but hear us out. Try to strike a balance between eye-catching and familiar. Your customers usually can’t test your products in person. If your items are too odd or different, customers might be too wary to buy anything. Avoid products that leave customers wondering how they could use it. Customers won’t always pay top dollar for your products. If you want to set prices that give you sizable profit margins, you better pick items that deserve those price tags. Some products are easier to justify than others: you can only set a T-shirt price so high, for example, but if you dropship watches, you have a bit more wiggle room. Don’t have the time, resources, or inclination to do in-depth product research? Luckily, we’ve done some of the work for you. Here are four of the product niches with the highest earning potential for 2018. Cosmetics, hair products, and grooming brands have seized on the opportunities presented by social media and ecommerce. From makeup to beard oils, lotions to shaving supplies, the market for women’s and men’s personal care offers plenty of profitable niches. Most products are compact and easily shipped, so you won’t have to worry as much about losing money to shipping errors and mishaps. 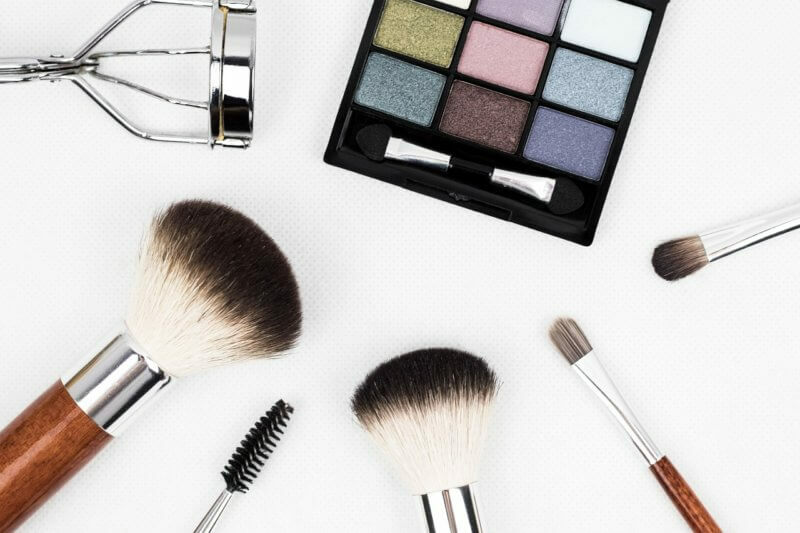 As an industry, personal care and cosmetics were worth $532.43B (that’s right, billion) in 2017, and Reuters reports that this can balloon to $805.61B by 2023. More and more people are seeking out products that can keep them looking young, fit, and healthy, and drop shipping gives you an easy way to connect with these customers. Similar to cosmetics, the wellness and health industries have really been taking off. Clothes geared towards active people can be a great choice for drop shipping: they’re far from fragile; they’re easy to ship; and the specialty fabrics or clothing technology used for health and fitness items can give you more leeway with your price tags. The health and fitness clothing industry is expected to be worth upwards of $231B by 2024. Like personal care products, these items benefit from the growing number of people who are pursuing healthier, more active lifestyles. It’s no secret that we’re tied to our devices, whether tablets, laptops, or smartphones. Sure, big device manufacturers like Samsung and Apple aren’t partnering with drop shippers anytime soon. But the many companies churning out accessories for these devices present a different story. Think everything from phone cases to HDMI adapters to earphones and tablet screen repair kits. The phone accessories market alone is expected to be worth $107.3B globally by 2022. The good news is that you’re not limited to phones — there’s an endless array of tech items for you to choose from. Device usage isn’t going to slump anytime soon, so you won’t want for customers either. 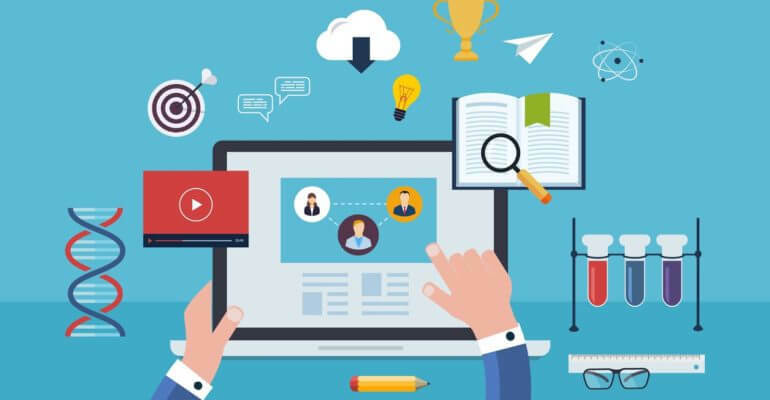 Competition will definitely be fierce, so if you’re eyeing this niche, you should definitely develop unique marketing strategies or business plans that will put you ahead of the competition. Who doesn’t need to carry their possessions? Almost everyone will need a bag at some point, and the niche market for handbags and purses alone affirms that—to the tune of $151B in market value. You can bank on cyclical sales spikes with the back-to-school rush, plus some indirect effects from the emergence of trends like backpacking. 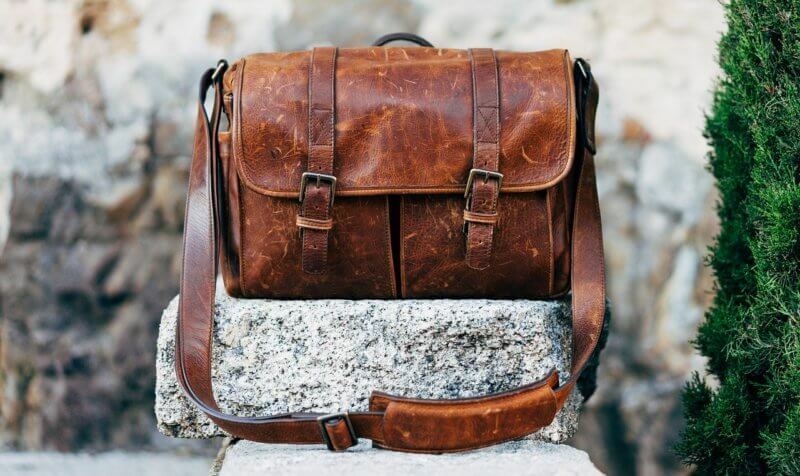 The bag industry encompasses several niches (e.g., travel, business, casual/commuter), so you can pick from several possible approaches for your online store. In drop shipping, the items you sell determine how much you make. Drop shipping profit margins can get pretty low, but you can stay ahead of the curve with some solid research and clever strategizing. One of the most important decisions you can make to boost your business? The kind of products you sell. Not all products or industries take well to the drop shipping model, so you should definitely do your homework if you want to earn big. The good news is that there are tons of suppliers and product choices available for aspiring drop shippers. Follow the tips we’ve given above, and you’ll find a profitable niche in no time. Product selection isn’t the only factor you should keep in mind. Your choice of suppliers also plays a big part in your drop shipping business’ success. So how do you even find reliable suppliers? If you’ve already got some sources in mind for your chosen product/s, try to contact them directly! Ask if they cater to drop shippers — and if not, see if they have wholesale distributors who can work with you. Make sure you’re reasonably sure about partnering with a manufacturer when you call them up, though. It takes valuable time to entertain inquiries; no company wants to spend an hour giving information to somebody who doesn’t place any orders after all. 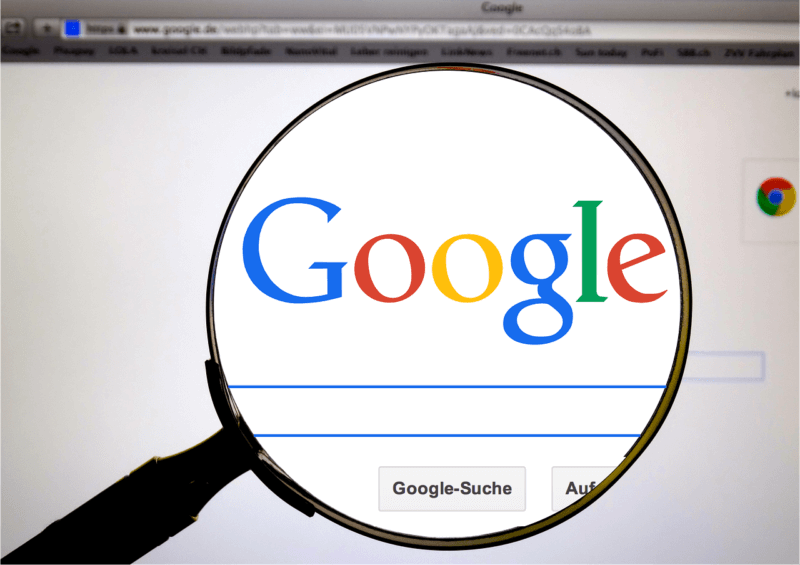 Google is a good place to start, but go beyond the top results. Many manufacturers don’t have websites designed for consumer traffic, so Google might list them at the bottom of your search results. Be thorough. Run multiple searches using a variety of related keywords. Comb through the second, third, fourth pages of your search results — and beyond. Don’t be scared off by stodgy site design or unpolished webpages, either. 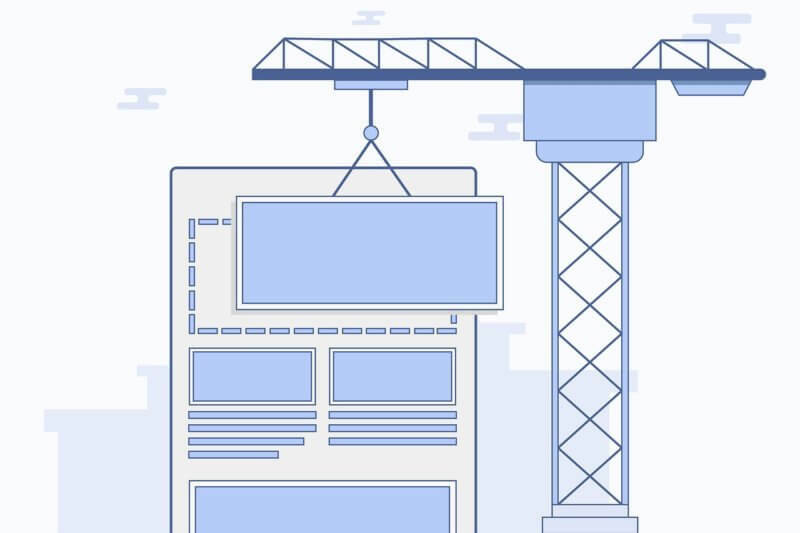 Many manufacturers’ websites may be far from the sleek, professional image in your head, but as long as their credentials are good, check them out. If you’re in a position to attend trade shows or industry conferences, try your luck there, too. This can be a good way to find smaller manufacturers who might not have a web presence. Or you could stumble upon emerging players who are eager to work with drop shippers. A trade show also means you get several potential suppliers in one place. This gives you an opportunity to canvass prices and compare product options. Many drop shipping services like Oberlo, SaleHoo, and WorldWideBrands maintain a list of reputable drop shipping suppliers. Each service uses different criteria to evaluate their directories, though. If possible, try to find out what these criteria are. Some directories (notably, WorldWideBrands) are stricter than others. Still, this is a good way to get a vetted list of potential product sources. If all else fails, you could try figuring out where your potential competitors get their products. See if your competition research turns up any information. You could also try placing a test order. Some drop shippers don’t (or can’t) ask their suppliers to use custom shipping labels or packaging. This means your order could arrive with a supplier’s name and address right on the box. Building a list of potential suppliers is just the first step. After that, you have to narrow it down. Drop shipping wholesalers can vary a lot in terms of service quality and reliability. If you’re not sure how to pick the good ones from the bad, here are nine questions to consider. 1. Does the supplier let you customize orders? As a drop shipper, you don’t have much say over the branding of your products. Besides your website, the packaging on your orders might be your only way to reinforce your brand. Custom labels and packaging will help establish your business name. If you have the choice, go with a supplier that will let you use custom shipping items for your orders. 2. How long does the supplier usually take to process and fulfill orders? Your supplier’s performance can make or break your business. Ultimately, your customers’ concern is getting the product they ordered. That’s not up to you — so find a supplier who can deliver, literally and figuratively. If you can, place a test order so you can see for yourself. 3. Does the supplier have a minimum order volume? Do they charge order fees? Some drop shipping wholesalers will only accept orders that meet a minimum volume. Others might have per-order fees that can cut into your profit margin. These details are par for the course in the world of drop shipping; your best bet is to find a supplier whose order guidelines and/or fees give you the best profit numbers. 4. Does the supplier let you track orders? Order tracking will make your life easier: you can check that a product has arrived, send customers updates on their order, and so on. If a supplier gives you no way to do that, their services might not be worth the trouble. 5. What shipping methods does the supplier offer? This can determine your online store’s reach. Does your supplier only deliver to the continental United States? If your product’s most avid buyers live in Hong Kong, you’ll need a different supplier. Does the supplier use the postal system exclusively, or can customers opt for couriers? Will you be able to offer expedited or overnight shipping? Having a variety of shipping methods at your fingertips can give your business some valuable flexibility. 6. How does the supplier handle returns, lost orders, and similar issues? Not all deliveries will go smoothly. Sometimes a customer will get a defective product; sometimes they’ll simply want to return their order. Packages can get delivered to the wrong place, or they might not get delivered at all. It’s best to plan for these issues from the start. Part of that planning involves finding out how your supplier handles these cases. Unclear or unreasonable policies could be costly, especially if you get a string of delivery mishaps. 7. Do the supplier’s products come with warranties? Not all products arrive in top form, either. In cases like these, you have to make sure that you and your customers are covered. Otherwise, you could see your earnings go down the drain just because of various product issues. 8. How experienced is the supplier’s staff? This is especially important if you’re new to online business in general. An experienced supplier can reduce the headaches you’ll have to deal with. Better yet, they could give you guidance or expert advice. If they’re already knowledgeable about the industry, they could help troubleshoot issues that crop up with your customer’s orders. 9. How good is the supplier’s customer support? Any business will have rough patches. When trouble arrives, you don’t want to be left hanging. Good customer service on your supplier’s end means peace of mind for you. It’s best if you know that you can get answers when you need them, be it for a missing shipment, an out-of-stock item, or other issues. First things first: there’s no surefire formula to earn big as a drop shipper. Like any business, your success will depend on many factors: your circumstances, the state of the market, how much work you put in. That said, there are some steps you can take to boost your drop shipping business’ earnings. No, it’s not just about charging more for your products. While that seems like a good answer, it also risks chasing away your customers. Instead, let’s look at improving how your drop shipping business runs. Our goal here is to turn your online store into a lean, efficient, and effective venture. After all, there are two ways to increase your profit margins: either jack up your prices or lower your costs. Here are some ways to do the latter. What is Automated Drop Shipping? Automated drop shipping refers to the use of software and/or integrations to streamline a drop shipping business. Which aspect of the drop shipping model gets automated will vary from one store to the other. However, the goal is to speed up the whole drop shipping routine, increase convenience for you and your users, and reduce errors along the way. Why should you automate your drop shipping business? Time is an important resource for any entrepreneur. Unfortunately, drop shipping can be a time-consuming business. Between coordinating with suppliers and marketing your online store, you’ll often wish you had more hours in a day. As your drop shipping business grows, the demands on your time will only increase. You’ll handle larger and larger volumes of orders, and there will be more details to track. Soon, your day could disappear under a nonstop barrage of order forms and tracking numbers. With more information to juggle, the risk of committing a costly mistake also increases. Unless you find a way to streamline these processes, you’ll have problems scaling up your business. Enter automation. When your online store can run without needing your constant input, you get more time to work on expanding your business. What drop shipping processes can you automate? Think about it: how many hours do you waste manually uploading product details to your online store? That includes everything from descriptions to product photos, as well as how many you have in stock. If you have a variety of products in your catalog, or if you’re thinking of expanding, this could easily eat up your time. Plus, if the quantities on your site lag behind, you could lose money dealing with back orders. Many drop shipping platforms already offer features to automate this. Some have direct integrations with suppliers: you can push a product straight to your store, or sync item quantities with your supplier’s inventory. Others let you generate inventory summaries (as XLS, CSV, or other file types) that you can upload to your store. A good drop shipper keeps an eye on their competitors’ prices. After all, you don’t want business undercut by someone with lower price tags. But in a crowded market, tracking all of your competitors can become a full-time job. Some drop shipping platforms, extensions, and plugins let you automate your pricing analysis. Some will go so far as to suggest prices for you, while others will simply give you a summary of current prices. These tools can be especially helpful if you’re just starting out and unsure about your pricing strategy. When you’re starting out, manually passing orders to your suppliers isn’t a big deal. Once you start handling hundreds, if not thousands, of orders, though, you’ll need a better system. 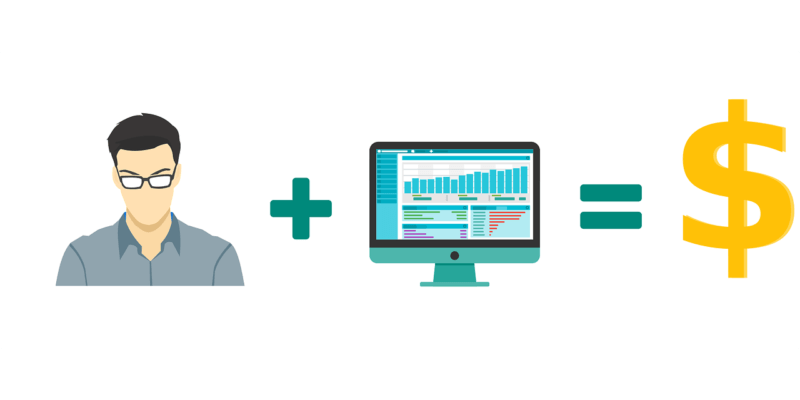 If you automate order placements, you can easily scale up your orders without fear of any falling through the cracks. This can also speed up your overall fulfillment time. Automatically getting tracking numbers and status updates for product shipments can also save you time. Some drop shipping platforms will compile all this information and give you real-time updates, saving you the hassle of checking on every pending order. Even some of your business’ marketing can be automated! If you’re trying to build a social media presence, tools like Hootsuite and Buffer will help you keep a consistent publishing schedule. These tools can handle multiple social networks at a time, so you’ll only need to check one place, too. For email marketing, services like Mailchimp will let you schedule messages and set custom emails for different audience segments. These can be great, quick ways to personalize your marketing. A good drop shipping website is easy to find, easy to browse, and easy to order from. Focus on getting rid of the obstacles that can keep potential customers from buying your products. This goes for both visitors and search engines. Make it easy for people to find the information they need. Don’t make people click around for five minutes just to order an item! Sort your products into clear categories and implement quick search and filters. If you can, use tags to help your customers find related items, too. As for search engines, an XML sitemap is a basic first step. Let Google, Bing, and other search engines know how your website is structured and where to find important information. Give a detailed, compelling description for each product. Add clear, well-lit photos, too. Your customers won’t have the chance to inspect products in person — good descriptions and photos reassure them that they’re paying for a quality item. Upsell, upsell, upsell. If you don’t want to get in your customers’ faces about it, this is a great alternative. Once a customer has decided to buy a product, they’re far more likely to shell out for related items as well. Make the most of that moment by linking them to those items. If they decide to pass on the item they were first browsing, these related links could still lead them to an item that they will buy. Your customers can be your best advertisers. If you consistently get praise for your products or quality of service, give your happy customers the space to let others know about it. A short review section in each product page can help tip a potential customer towards a sale. Likewise, general testimonials about your service — be it shipping speed, customer support, or other points — can help convince website visitors to give you a try, too. Like good product photos and descriptions, this kind of information helps reassure potential customers that you’re a legitimate and reliable business. Use an SSL certificate, get a PCI certification, and take whatever other steps you need to secure your customers’ safety. An SSL certificate activates the HTTPS protocol for your website — in short, you’ll get that little padlock sign beside your URL. More importantly, Google has started flagging websites that don’t use HTTPS, so an SSL certificate will reinforce your trustworthiness for incoming visitors. Other protocols like PCI, meanwhile, assure your customers that their payments go through secure channels. You don’t want to lose customers to credit fraud scares, after all. A stylish design or user-friendly product catalog mean nothing when your website is always unavailable. Make sure you take steps to prevent website downtime. One of the biggest advantages of a drop shipping store is that it’s always available. Don’t give that benefit up just because you’ve got faulty web hosting or an unoptimized website. On average, a website has a 2.35% conversion rate, according to statistics from online advertising authority Wordstream. That means that for every 100 visitors, you’re going to get an order from roughly 2 or 3 people. What that tells you is that you need to boost your traffic and work on converting visitors to increase sales. What does that mean, exactly? You won’t get sales if your customers can’t find you! SEO boosts your visibility, especially for customers who are using search engines to look for the products they want to buy. SEO might sound like a daunting concept, but you can ease into it. Basic optimization can be as simple as tweaking your product page information, regularly publishing a blog post, or adding alt-text to your product images. If you need an overview of what SEO is and how it works, check out our SEO beginner’s guide. Usually, you can fine-tune your audience targeting parameters as you go, boosting your ads’ efficiency. In 2013, email marketing already accounted for over 7% of customer acquisitions for ecommerce. This placed email just behind organic search. Today, email remains one of your most powerful tools for turning visitors into full-fledged customers. First, you have to give your visitors a compelling reason to sign up. Many ecommerce websites offer discount codes, freebies, or other promos for users who sign up for their email lists. If you go down the same route, the accompanying promotions double as an incentive for customers to place an order. Next, use email as a way to remind your visitors to return to your online store. You can send out reminders for new products or seasonal items, as well as limited-time offers. Likewise, if you’ve got their email on file, you can also remind customers to complete a product checkout they might have abandoned or revisit a product they had been browsing before. Simply put, email can be a way to keep your online store at the top of your customers’ minds. Just don’t go too far — a flooded inbox can make any customer drop you! Paid advertising can drain your budget if you’re not careful. For a less costly alternative, consider working on your social media presence instead. Facebook, Twitter, Instagram, and other social networks can give you a direct line to your intended audience. If you’re willing to put in the time, these can also be effective channels to respond to your customers’ questions and concerns. As we noted before, you can automate your social media marketing using tools like HootSuite or Buffer. Regular posts, engaging content, and strong branding can help you get your business out there with little cost. Make sure to set aside some time to deal directly with concerns sent to you over social media, though. Responsive customer service will also help set you apart from the competition. With blind drop shipping, you don’t let your customers know that your products are stored and shipped by a separate supplier. Your supplier will also ship the product with your own custom labels and packaging, or at least, without any indication that the product came from your supplier. Your customer is basically “blind” to the source of their orders. As far as your customers are concerned, the products come directly from your store. What is Double Blind Drop Shipping? Double blind drop shipping refers to the practice of keeping customer details from your suppliers as well. This is usually facilitated by a third-party platform or service. The platform will usually coordinate with your preferred supplier so that orders can be shipped without the supplier getting direct access to your customers’ name, address, and other information. Why Should You Consider Blind Drop Shipping? 1. It can help strengthen your branding. Blind drop shipping often gives you the chance to use custom labels and packaging that carry your business name. Without your supplier’s details muddling the picture for your customers, it will be much easier to reinforce your brand identity. 2. Customers are more likely to trust you. Many customers are understandably skeptical about a business that doesn’t own the products it’s selling. By using blind drop shipping methods, your customers won’t know that you aren’t in charge of your product inventory. 3. Double blind drop shipping reduces the risk of customer poaching. A few unscrupulous suppliers sometimes try to steal your customers out from under you. If they have direct access to your customers’ information, including their address, these suppliers could offer to sell directly to your customers. With double blind drop shipping, suppliers don’t have the information to contact your customers directly, so there’s less risk of poaching. Granted, most trustworthy drop shipping suppliers will have policies against selling directly to your customers in the first place. However, it never hurts to make sure. Doesn’t dropshipping sound like the world’s easiest business model? Without any inventory to manage or packages to ship, all you have to do is market your products to potential buyers. Not so fast. Dropshipping has many attractive advantages for new entrepreneurs, yes. But it’s not a guaranteed formula for success. Like any business model, dropshipping comes with its share of challenges and pitfalls, and not all dropshippers can hurdle these well. Here, we run down six of the biggest errors to avoid as you navigate your own dropshipping journey. There are millions of products available to dropshippers, and there are thousands of dropshippers operating at any given time. It’s all about finding a space where you can thrive and focusing your efforts on claiming that space for yourself. If you try to be a virtual supermarket with a huge range of items, you risk spreading yourself too thin. More niche stores will capture dedicated fractions of your audience; bigger marketplaces like Amazon will beat you out in terms of sheer breadth. On top of all that, you’re more likely to run yourself ragged coordinating with multiple suppliers at once. Our Tip: Build a well-curated catalog that targets a specific need or caters to a narrow slice of interests. You’re more likely to develop a passionate following (and get repeat orders! ), and a focused product range also spells less upkeep and fewer management headaches for you. Check out our dropshipping product selection guide to learn more about finding a profitable niche and picking bestsellers for your store! Your choice of suppliers will make or break your dropshipping business. After all, your suppliers control your inventory and handle fulfillment for your customer’s orders. If you get a bumbling supplier that delivers packages late or consistently sends defective products, your business will have close to zero chances of surviving past its first year. Don’t even get us started on suppliers who engage in fraud or sell counterfeit products. Don’t spring for bare-minimum service either, though. Sure, your supplier might have decent products, but can you work with them? Do they answer your inquiries promptly? Do their sales reps know what they’re talking about? Finding a supplier that works is only the first step; it’s crucial that you find one that you can work with. Our Tip: Research, research, research. Check vetted directories — big platforms like SaleHoo, WorldWide Brands, and Oberlo maintain lists of trustworthy suppliers. If you’re seeking out suppliers directly on sites like AliExpress, take the time to check their ratings (aim for at least 95% for each seller) and reviews. If you can afford it, place test orders so you can check a potential supplier’s delivery and support processes yourself. If it takes more than a few clicks to do any of these things, you’ll lose potential customers. Our Tip: Remember, you’re trying to win over customers. Don’t give them roadblocks! Focus on creating a seamless shopping experience, from product categories that make sense to payment gateways that take common payment methods like credit cards and PayPal. You’re not manufacturing your own products, but you’re still running a full-fledged business. Your name and your services are the only things setting you apart from other dropshippers sourcing from the same suppliers. If others out there can sell your target customers the same thing, you better give those customers a good reason to pick you over the rest. A strong brand identity and a cohesive offering of value-added services will help you leave a mark on your customers. These pave the way to recurring transactions and, hopefully, lasting loyalty from your audience. Our Tip: Figure out your branding and the services you’ll offer. Craft a good logo and/or name and place this prominently on your website, all communication sent to customers, and even the shipping labels used for your customers’ orders, if possible. You want to be known as the best option for buying certain products, and strong branding will help you achieve that. With dropshipping, it’s fair to say that customer service is the heart of your business. The products, which are your supplier’s responsibility, are incidental. What you’re really offering customers is the opportunity to buy those products in the best, most convenient way possible. It pays to go the extra mile. If your customers see you as a helpful, responsive merchant, they’re more likely to keep buying from you, after all. Here’s a neat bonus: good customer service can help set you apart and strengthen your brand’s value, too. Our Tip: Send follow-up emails to ask customers about their buying experience. Give customers the option to receive product updates from you. Offer prompt and detailed assistance to any customer experiencing issues. The exact steps you take will depend on your customers’ needs, but as long as you make an effort to meet those needs, you’re already ahead of the game. Here’s an unavoidable fact about dropshipping: some orders will fall through. Your customer will change their mind and cancel, or your supplier will send out a faulty product that needs to be replaced. If you don’t have a system in place from the start, you could easily spend tons of time, resources, and effort just making up for errors like these. Remember that coordination can be more difficult for dropshippers, since you’ll need to work with your supplier to address whatever issue your customer found in the product. Just one vague agreement with an uncooperative supplier could leave you with the bill for hundreds of botched order deliveries, for example. Our Tip: Nobody wants to see cancellations or returns, but it always pays to prepare for these. Try to get your supplier’s return or refund policies clearly outlined in your contract. Figure out your own policies for order cancellations. Communicate all of these clearly to your potential customers. Have a process in place so that you’re not always scrambling when a dissatisfied customer sends back a product (or complains about their order). Dropshipping is one of the more accessible business models for new entrepreneurs, but it comes with its own risks. Many aspiring dropshippers have seen their ventures hobbled by rookie mistakes — and even established businesses can stumble if they’re not careful. By avoiding these six mistakes, or at least preparing to troubleshoot them before they actually occur, you’re laying the groundwork for a stable, sustainable dropshipping business. Drop shipping is one of the easiest ways to start an online business, especially if you’re a new entrepreneur. Thanks to the low startup costs and relatively little effort required, you can start a drop shipping business with just your laptop and a few spare days. Like any business model, of course, drop shipping has its challenges. Finding a profitable niche and building a sustainable business can take time and lots of effort. But with these tips and guidelines, plus some good, old hard work, you can become a successful drop shipper, too.